The National Weather Service has upgraded the D.C. region to a Winter Storm Warning and is now forecasting 4-6 inches of snow, with snowfall of 1 inch per hour possible between noon and 8 p.m. Saturday. The snow is also making travel difficult in the area, as accumulation on local roads and highways has been sending many drivers skidding off road or into others. Officials in DC, Maryland and Virginia have asked residents to stay off roadways or, if driving is necessary, to give yourself extra time to get to your destination and drive with caution. According to the AP, from Friday night until 5 p.m. Saturday, the Virginia State Police have responded to about 1,200 traffic crashes and 950 disabled vehicles. Dispatchers also have have received more than 1,800 calls for service. 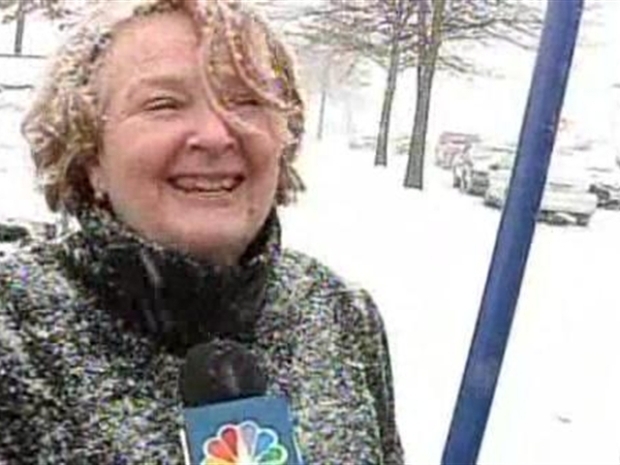 Saturday?s snowstorm made for dangerous driving conditions across northern Virginia. The winter storm warning is in effect until 4 a.m. Sunday for DC; Anne Arundel, Prince George's, Calvert, Charles and St. Mary's counties in Maryland; and Fairfax, Orange, Stafford, Spotsylvania and King George counties in Virginia. A winter storm warning means that significant amounts of snow, sleet or freezing rain are expected or are occurring in the warned area. More than 6 inches of snow has already fallen in parts of Virginia, mainly in the southeast area of the state. The snow has caused some delays and cancellations at regional airports, including Dulles International and Reagan National Airport. But several activities, including the National Zoo's farewell for giant panda Tai Shan, have been cut short due to the weather. On Saturday, Maryland State Police put a snow emergency plan in effect for Charles County. In Maryland, Charles County Public Schools, Montgomery County Public Schools and Prince George's County Schools have cancelled all afternoon and evening activities today because of the weather. DC Public Libraries and Fairfax County Libraries are also closed. In Virginia, Gov. Bob McDonnell declared a state of emergency Thursday in advance of the potential storm, which authorized state agencies to help local governments respond to the storm. As part of that effort, the Virginia Department of Transportation on Friday pretreated Interstate 95, primary roads and high-traffic secondary roads with an anti-icing brine solution which helps prevent or slow down the accumulation of snow and ice. The December storm wiped out Fredericksburg's salt supply and caused trucks to break down, but Virginia officials told News4 it's ready for today's snowfall. "Our building holds about 700 tons, so we have about 700 tons either in the building or already on the trucks right now. And that would be about three times the amount we'd need for the storm of the type we're expecting," said Doug Fawcett, the Fredericksburg's director of public works. VDOT said it has added another 600 trucks to treat and plow roads, bringing its total number of trucks on the road to 1,800. Virginia residents can check road conditions by calling 511 or going to 511Virginia.org. City of Alexandria residents should call the Snow Hotline at 703-746-4488. The District said road crews were out at 5 a.m. to gear up for the storm, with approximately 180 pieces of snow removal equipment out and about. The majority of the District’s bridges, overpasses, routes on the National Highway System, and hilly residential streets have already been pre-treated with a brine solution. Brine solution is comprised of salt, water, and beet juice. While the snow may move out by Sunday, temperatures are expected to remain below freezing through midday on Monday.